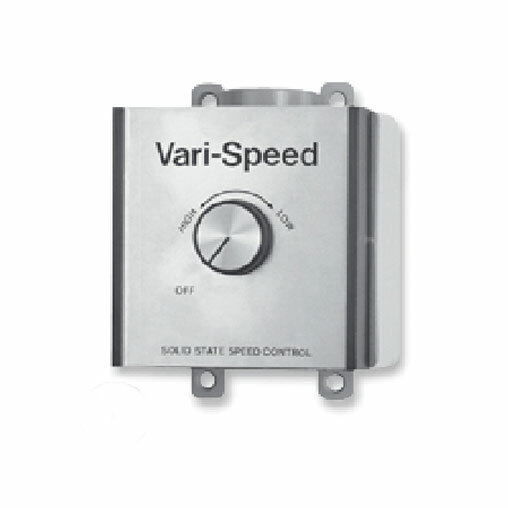 This infinite speed controller can control up to 15 agricultural ceiling fans with the ability to adjust the speed. The 15-fan infinite speed control is specifically designed to fit a 2 x 4" wall box mount. Adjustable speed controls are a comprehensive line of motor speed controls for air-moving applications which utilize Shaded Pole, Permanent Split Capacitor (PSC), and Universal motors. Envirofan controls provide adjustable speed operation to permit the consumer individual selection of air volume, motor speed, and noise level. These economical controls are designed to replace obsolete, tapped winding, or reactive methods of speed control. This controller covers a wide range of amperages from 2.5 through 15 amps that allow for the selection of the most economical control for the application. One full year from date of purchase. This control is to be used only with fans marked as suitable for use with solid state speed controls. This control is suitable for mounting in a metal or polymetric field enclosure. Control must not be used at ratings exceeding those clearly marked on the device.